STAFF Selection under Railway Recruitment Board (RRB) INDIA. Indian Railway Staff are classified into gazetted (Group 'A' and 'B') and non-gazetted (Group 'C' and 'D') employees. The recruitment of Group 'A' gazetted employees in Indian Railways is carried out by the Union Public Service Commission through exams conducted by it. 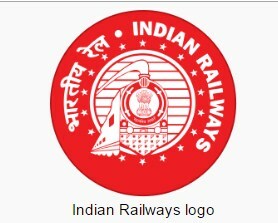 The Recruitment of Group 'C' for the following post Section Officers,Junior Engineers,Depot Material Superintendent posts is conducted by Railway Recruitment board(RRB). The recruitment to Group 'C' and 'D' employees on the Indian Railways is done through 21 Railway Recruitment Boards (RRB) and Railway Recruitment Cells which are controlled by the Railway Recruitment Control Board (RRCB). The training of all cadres is entrusted and shared between six centralized training institutes. The trains have a 5 digit numbering system and runs 12,617 passenger trains and 7,421 freight trains daily. As of 31 March 2016, 27,999 km (17,398 mi) (41.59%) of the total 67,312 km (41,826 mi) route length was electrified.Since 1960, almost all electrified sections on IR use 25,000 Volt AC traction through overhead catenary of delivery.